So what matters to a 2 year old? Well to mine beyond having his usual needs met last week and this week it has been the road construction on our road. The city decided to do some patch work on our street. Never has the boy stood at the window so long, or wanted to go for a walk to anywhere else but the park! He is still in hopes that they will come back and when we walked post road work he is finding all the cracks that they need to come back and fix. Simeon's independent self seems to be springing forth. We have a lot of "not" speaking around here. And he seems to be into everything, things previously he would occasionally be into but could be persuaded to play with his toys. I will say I'm really glad that it isn't all gloom and doom. His sense of humor seems to be expanding, that is exciting. I'm sure this stage will pass like all. We have done a lot of fun activities with our Attachment Parenting group. 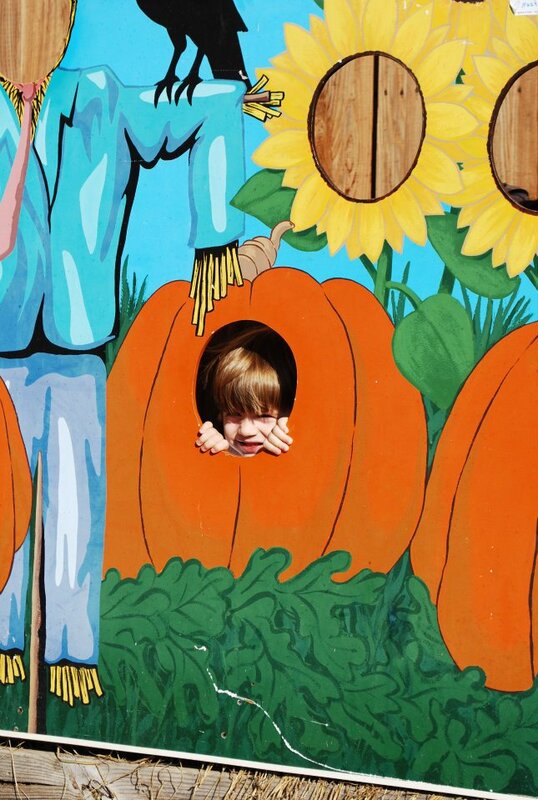 It's been a great month for activities: pumpkin patch, children's museum, Ghatti Town, and today the zoo. There have been several others I'm leaving out. We had our two meetings a month. I'm so grateful for the blessing of pretty weather and fun times.